You can make today watever you want it to be. Just give it your own spice and flavor. 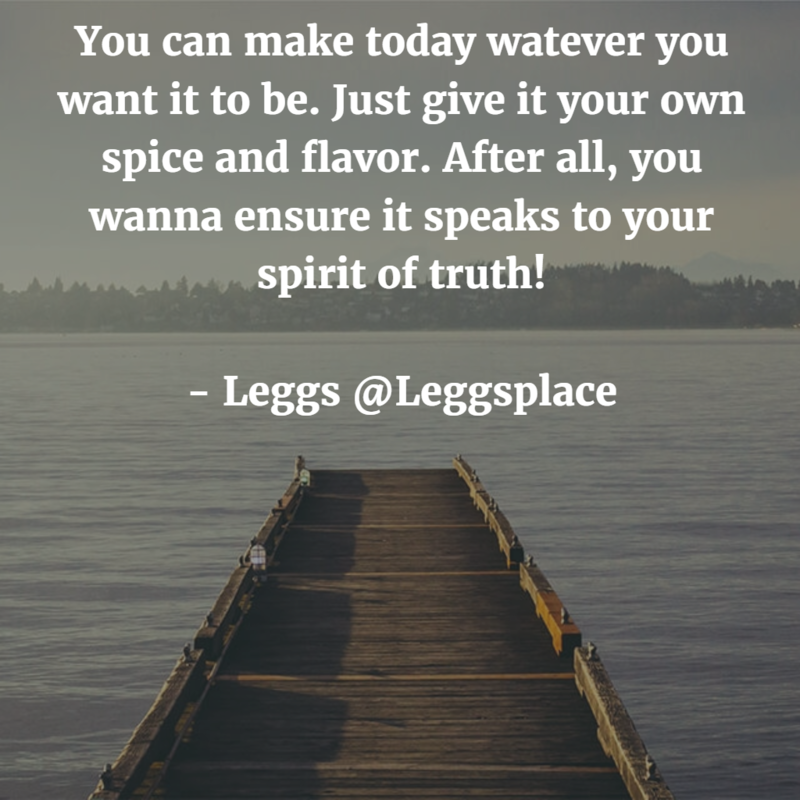 After all, you wanna ensure it speaks to your spirit of truth!